There’s just something about a marble bathroom. It’s a finish that’s sleek, sophisticated and a favourite in the world of interior design. 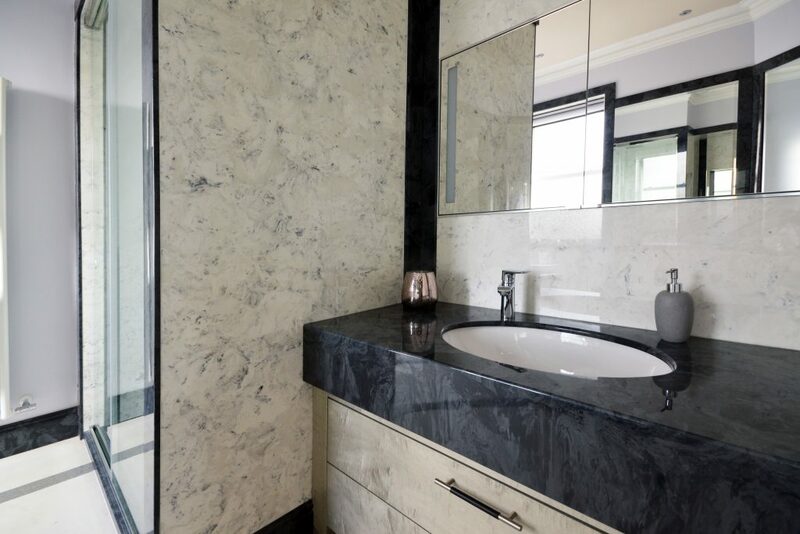 Marble creates a premium look that invokes feelings of luxury and opulence – so it’s no wonder it features prominently in some of the most elegant hotel bathrooms in the world. 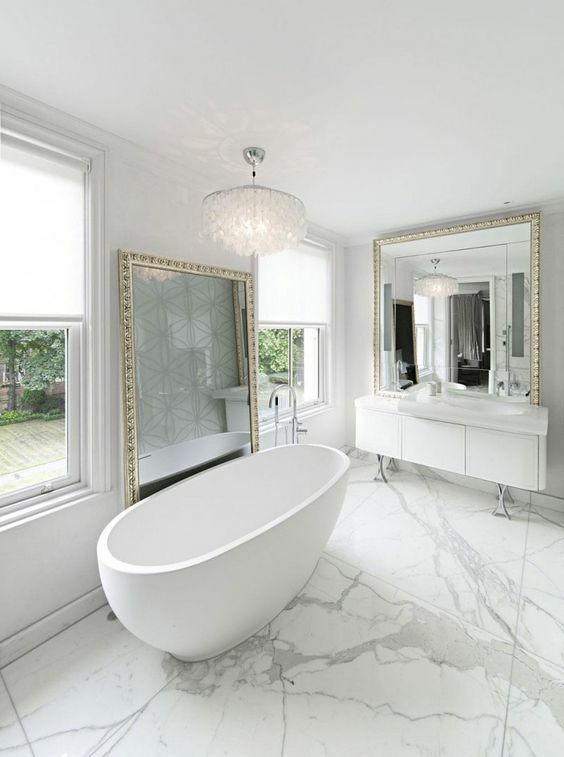 Adding marble to your own bathroom or en-suite is a covetable choice and at Versital, our true to life solid marble surfaces mean creating that five-star look has never been easier. Discover our latest inspiration and get set to introduce your bathroom to the wonders of marble. Boutique hotels just seem to get it right when it comes to bathroom design. Whilst often more compact, what they lack in size, they certainly make up for in lavish interior touches. To recreate the feel of a boutique bathroom in your home, try adding a feature panel in your shower. Versital’s Dove Grey marble is perfect for this; with a classic grey and white finish, it’s an effortless choice that complements both contemporary and country style homes. 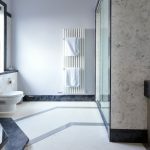 Grand roll top baths, inviting wet rooms and marble adorning every surface – luxury hotel bathrooms really do offer an endless source of inspiration when it comes to bathroom interiors. Why not surround a freestanding bath with a marble bath deck and matching panels to create a seamless flow of marble to lift the space? 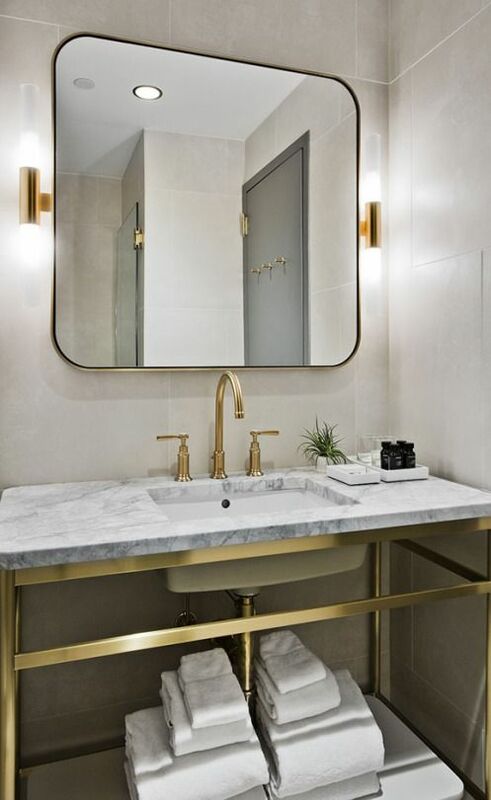 Choose Napoleon or Perlato for an elegant appearance and pair with polished brass taps for added opulence. You know the saying ‘the devil’s in the details’, well for your bathroom it really is. 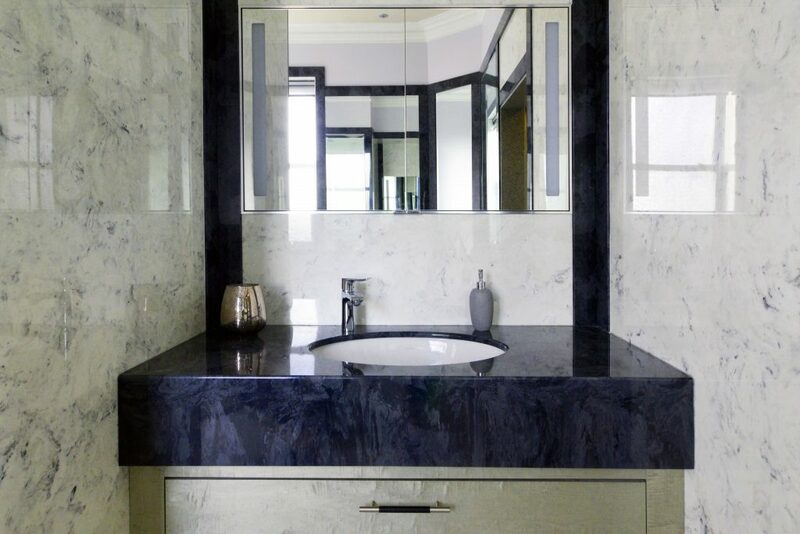 Updating a vanity area with a new marble vanity top or splash back can instantly transform your room with minimal effort required. If you’re exploring adding marble, selecting a classic finish like Versital’s Arabesque or Sicilian will look chic and subtly elevate your bathroom interior. Pair this timeless surface with natural wooden accessories and white walls; if you’re feeling a little more daring, explore our metallic marble collection. Versital’s solid marble surfaces offer all the beauty of natural looking marble, without the issues the natural product brings. Versital is 100% waterproof and stain proof offering all the beauty of marble, with no of the potential downfalls that can happen over time.